The study provides an overview, introduction, primer and market size calculated based on estimated manufacturers’ total revenues to the overall concept of controlled release in relation to the identified markets as they relate to one another. It is further divided into chapters dealing with each major individual market that uses controlled release. The regions include North America, Latin America, Europe, Asia-Pacific, Africa and the Middle East. Individual applications have also been reviewed and forecasted to better understand where the technology is used, as well as trends in its use. Technological trends are covered to show the state of the art and the ways in which the technology is evolving. The competitive side of the market covers various identified producers and developers. 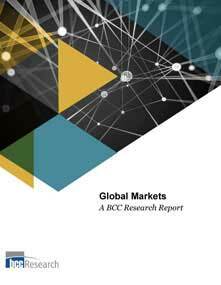 First, an introduction, overview and market forecast of all of the identified markets combined in aggregate has been included to consolidate the niche markets into a comprehensive section for general review. Background: Giving an introduction to each market, history of the technology and market, and a primer to the technology. Market sizes and forecasts: Giving an introduction and overview of the market, breaking down the market by application while giving a size and forecast for each, and breaking the market down by region while providing a size and forecast for each. Patents: Showing trends in how the technology is evolving by year, region and developer, and then highlighting identified trends in the technology. Competitive environment: Showing the competitive landscape and the merger and acquisition activity, and then highlighting and trending top companies and giving competitive profiles of identified top organizations. An overview of the controlled-release industry, which includes a description of current methods and materials and discussion on the positive effect of the emerging sustainable agriculture movement. A look at the migration of controlled-release features from high-margin specialty products to low-margin mass-marketed products. Evaluation of the larger global forces that will shape the demand for controlled-release technology over the next five years. Analysis of application-specific market segments within the agriculture, food processing, consumer product, and institutional, industrial and energy industries.